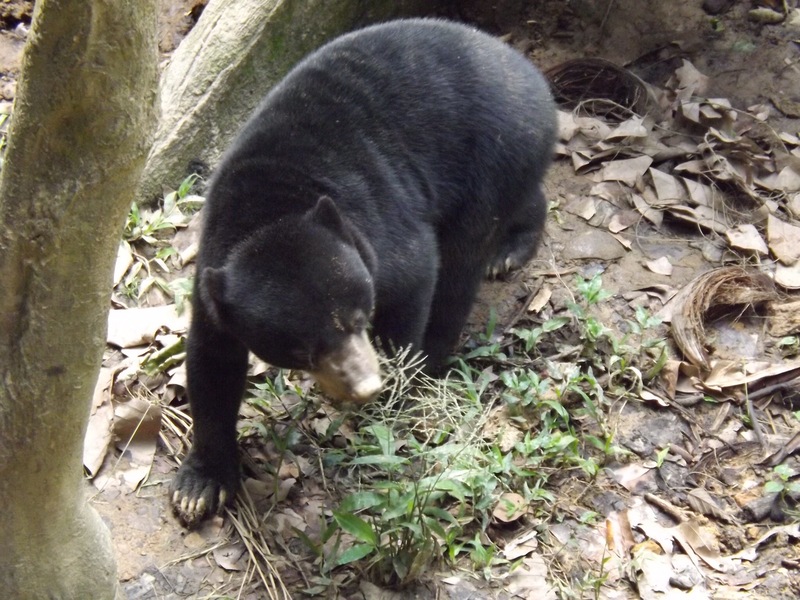 Right next door to the Orangutan sanctuary is a conservation project looking after the smallest bear in the world- the sun bear, also known as the honey bear. Identifiable by its light chest markings. 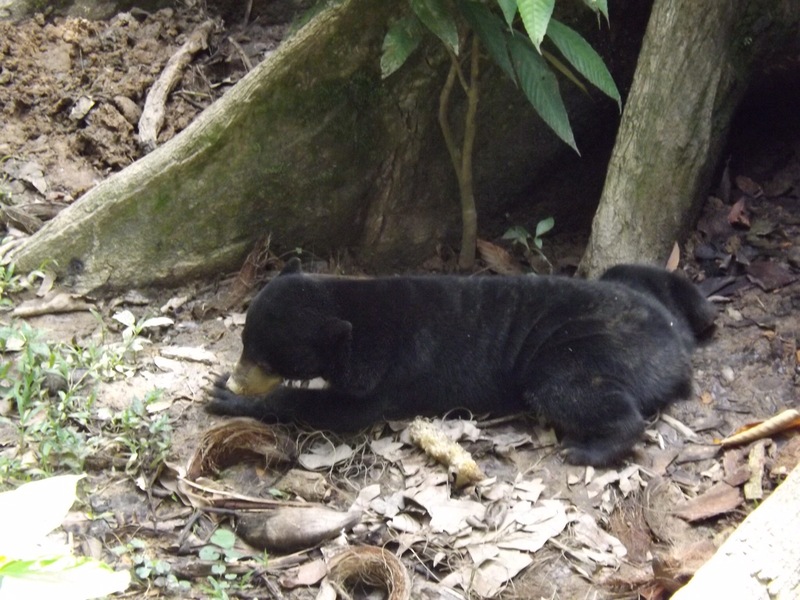 They are extremely endangered in Borneo and its conservation status is vulnerable due to deforestation and people keeping them as pets. They are smaller than these photos might suggest but would still do you some damage: they have extremely long claws which are up to 25cm long. We walked along a wooden walkway that was in the canopy of the trees so we were a safe distance from the bears we spotted. 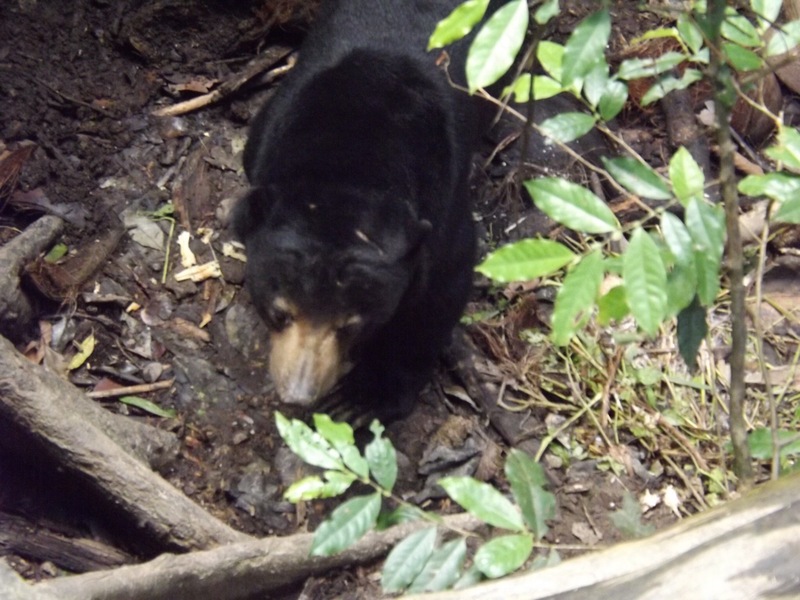 Unfortunately, the sun bears won’t be released back into the wild because of too much human exposure and thus dependency. 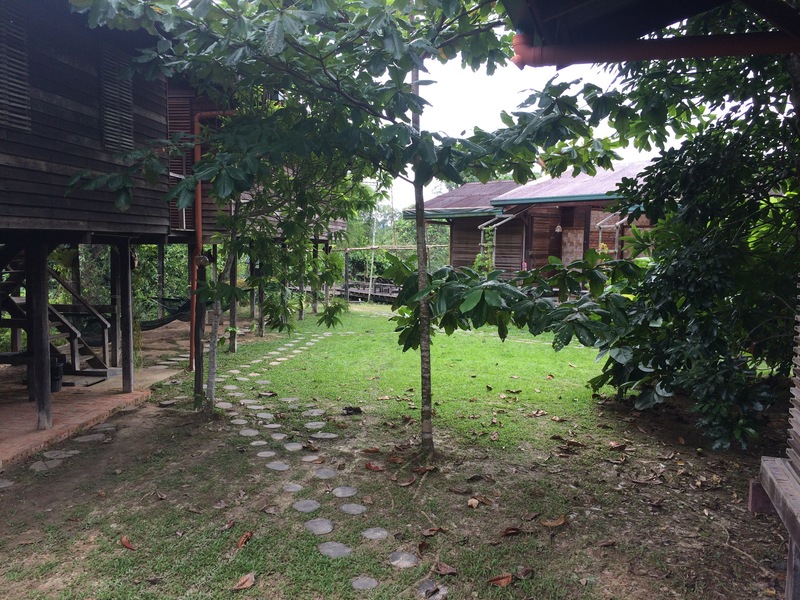 I mentioned our accommodation in a previous post but it was certainly some of the best we have had in all our travels. 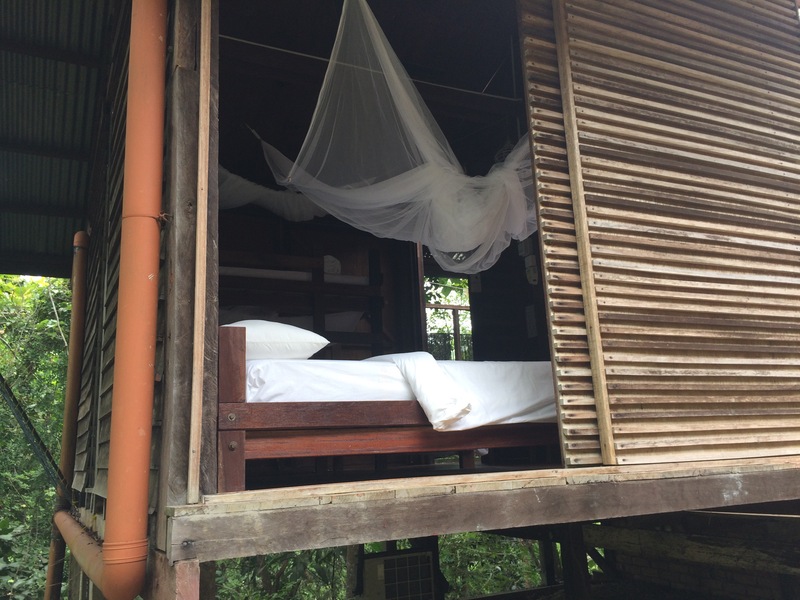 We stayed in these wooden tree houses that were on stilts and you could open every wall to expose yourself to the surrounding forest. 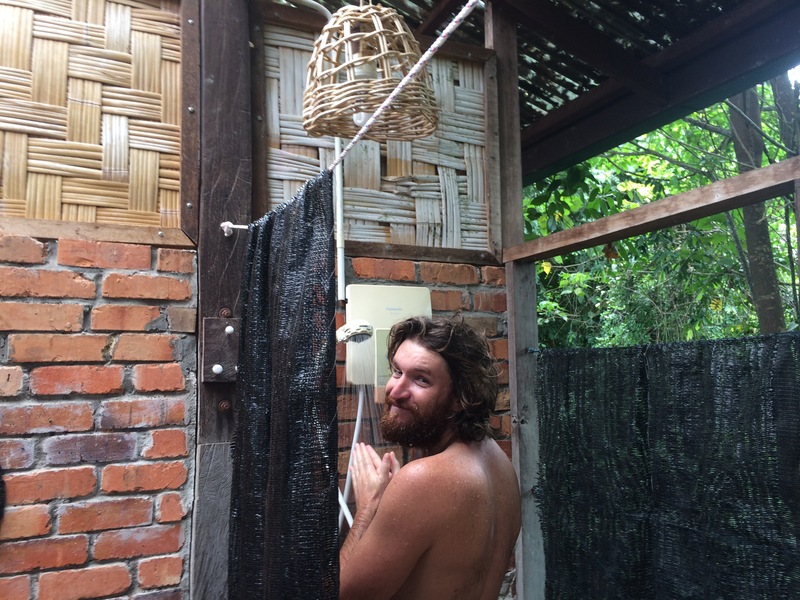 The shower and toilet was attached but outside so when you were shampooing the local monkeys could get a good look at you. 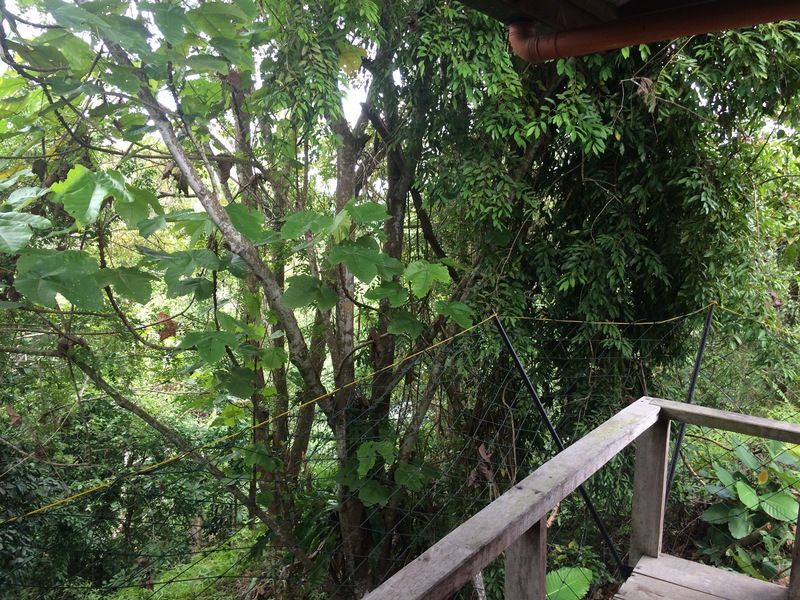 It was very relaxing, lots of hammocks are dotted around the grounds and dinner is also served outside in another tree house come balcony, we certainly felt at one with nature.